Jessica: It’s really good! I read it last year and still think about. Soooo… it’s an oldie but goodie and I’m thrilled to have read it. I’d say it has almost a “Devney Perry” feel to it and it was right up my life-trouble alley! Yep! It has just enough tension and issues to keep me reading and wondering where it would all go. Various things that had me hooked, and stressing, and swooning. Everything in here was my catnip. a child from said affair, so she’s stuck there (and her child has health issues). Unrequited love and heartache. She’s still not over him. her very protective (and beautiful) best friend is also falling for that firefighter (and they live right next door to each other)… OH. OH. Eeeeeeep!! I went into this one stressed on so many levels (which I LOVE) and had an idea where it would eventually go, but was still on edge anticipating the inevitable angst and trouble looming. I cut her search off. There’s a long pause. And it did not disappoint. Why? Because it actually surprised me a few times and even made my stomach hurt for her. She doesn’t argue. We both know I’m not. When you give your heart away, there’s no way to fully get it back. Pieces will be left behind, lies will drill holes, deceit will cause cracks, and the feeling of being unwanted will create a doubt that your heart was ever whole. ….but overall… I “got” her. 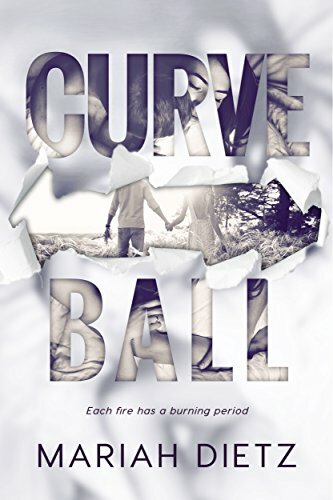 Cheryl: I did read Curveball. Not as angsty as I thought it would be and the friend relationship is part of that reason. Good read, but could have slapped the h a few times- somewhat of a broken record with her reasoning. Also wasn’t surprised about a twist. Still a good read. Right there with you, Cheryl. Although that twist DID surprise me! The title makes so much sense on a literal and figurative level. Some excellent curveballs, indeed. Best of all? One that I didn’t see coming at all… that had me gasping. And one that I’m still wondering about (or suspicious of). I wonder if there will be a part 2? It DOES NOT end on a cliffhanger, but it did end with a few somewhat open-issues that still worry me (LOL! As if these are real people – but yes I’m worried!! ), and I’d love to explore those further. Definitely swooooooooooned. I enjoyed this one BIG time! Reading this now and really enjoying it. You said in a post it’s Devney Perry-ish and that sold me. It so true! I’m almost done at 80%. I love Hayden and Shakespeare especially. I’m going to check out more by this author.